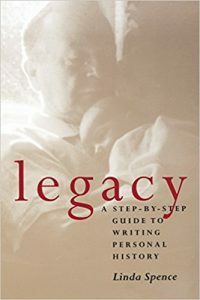 You’ll probably go back to this book again and again, as each chapter focuses on a different aspect of memoir writing and features first-person accounts by memoirists describing how they handled the various aspects in their work. Frank McCourt (Angela’s Ashes) and Elizabeth Gilbert (Eat, Pray, Love) are among the writers included. 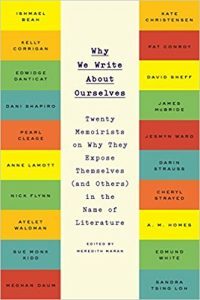 It’s illuminating to read respected authors’ views on the reliability of memoir, the ethics of disclosure, protecting privacy, and more essential issues of memoir. These are rarely seen, inspiring perspectives. 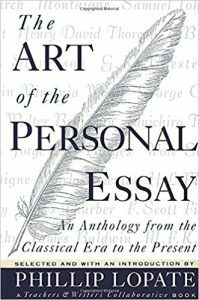 Emily Dickinson’s words, “Tell all the truth, but tell it slant,” inspired this book’s title. 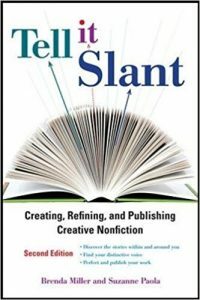 The book is filled with information about how to move beyond cold fact to create nonfiction that makes the most of your personal slant on the world. 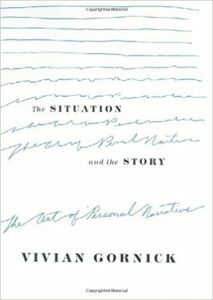 An intellectual exploration of a key component of memoir: the situation and the story. 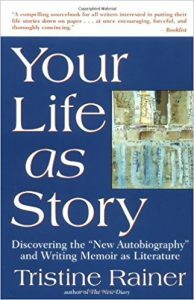 An accessible approach to finding the important messages in your life and shaping those stories into dramatic and compelling narratives. 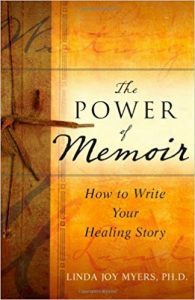 For a guide through the journey of memoir writing for emotional or physical healing, this book is a stellar resource, by a memoirist and psychotherapist who knows of what she speaks. 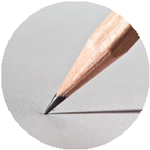 Fifty top writers inspire as they show various styles and forms. 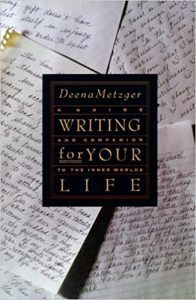 This book is filled with good questions on various topics to stimulate new writing. 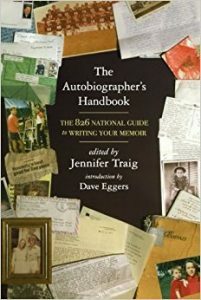 A step-by-step guide into the inner worlds of creativity with exercises that can evoke new ideas for memoir. 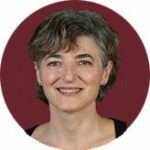 This bestselling author specializes in opening the doors to memory through freestyle, associative writing practice. 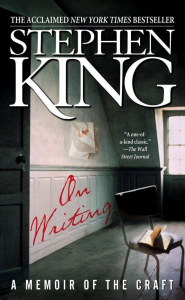 I’m not a fan of frightening, but Stephen King’s book On Writing is anything but that. 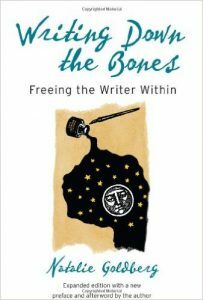 It’s part inspirational memoir of his writing career and part writing lessons from the field. And I have to say, it’s quite a page turner. 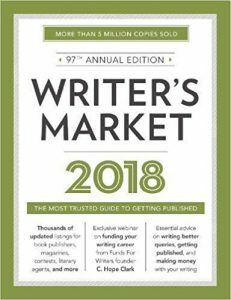 Updated annually, this industry standard has existed since 1921 as a comprehensive directory for finding publishers (books and magazines), literary agents, book competitions, and writing conferences. Be sure to read the articles in each edition about important aspects of the business. This book is a stand-out among books of its type. 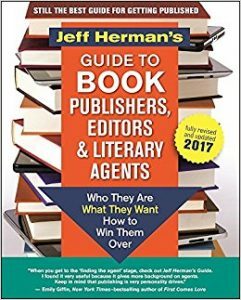 It is annually updated by its creator, a respected literary agent in his own right, but because Herman includes agent-supplied details about personal interests, giving readers the opportunity to find a good match not only regarding their book but regarding their personality and approach. 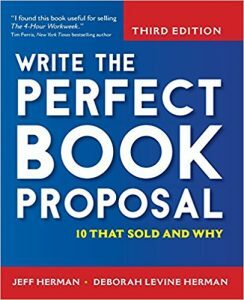 These literary agents have sold hundreds of titles and know what makes a flawless book proposal publishers can’t resist. 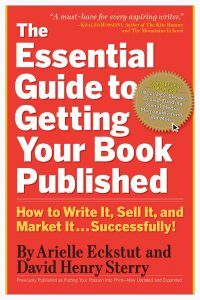 An invaluable resource for anyone ready to self-publish. 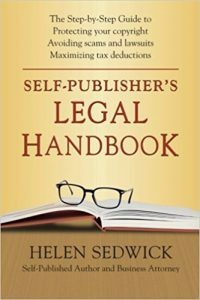 Written by a business attorney and author, the book covers everything from setting up your business to maximizing tax deductions, in beautifully accessible language. To be read with a highlighter in hand. 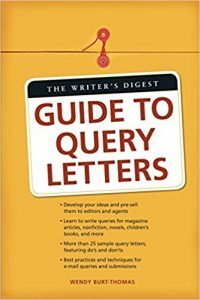 Besides attending writers’ conferences to learn about the query letter writing and book pitch process from literary agents, this book is an excellent recommended resource. 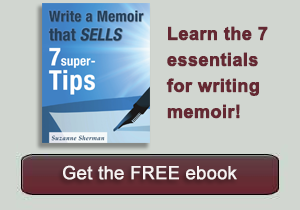 A quality guide by industry insiders, one of them a literary agent.